Ridgeon Network provides Online Storage and FTP Hosting services from our own equipment in UK data centres. This means we have full and secure control of hardware purchases from delivery to final destruction. We use enterprise-class hard drives for your storage but as with any mechanical device, they will eventually fail after prolonged use. A failed hard drive does not affect service, even for a second due to the resilient setup we run that can cope with multiple drive failures. We also operate the good practice of having 'hot spares' in place ready to spin up and take over the job of failed hard drives immediatly. 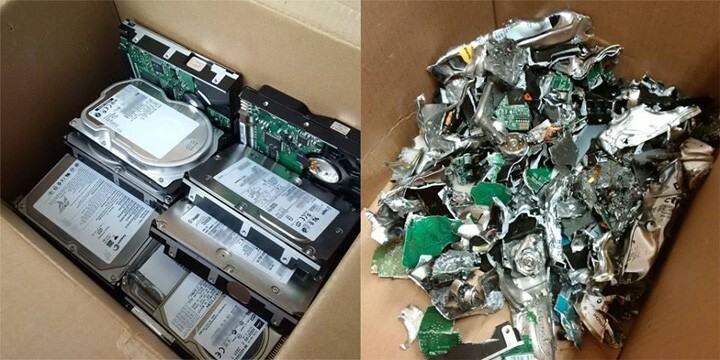 Failed hard drives are then securely shredded on-site by an accredited (CESG and BS EN 15713:2009) secure destruction company so that no data can be recovered. 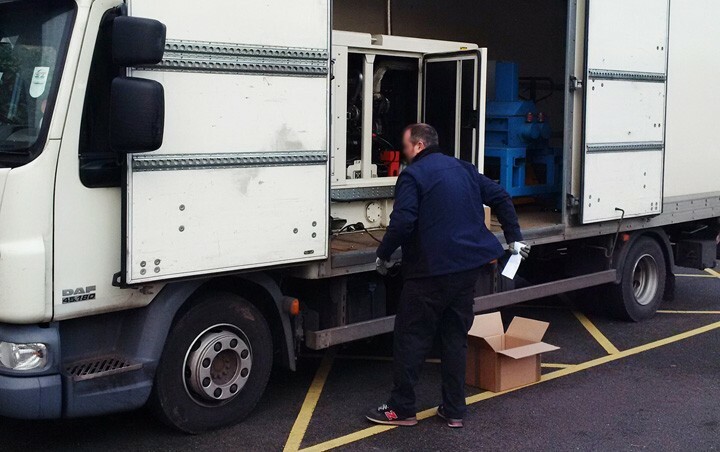 Below are some photos of hard drives shredded on-site by XPO IT Services Ltd on-site using their mobile shredding lorry. A secure destruction certificate is then issued as proof. Our focus at Ridgeon Network is to provide professional Internet services from our own UK-based infrastructure so that whilst your data is in 'the cloud', you know where it physically resides. If you are interested in talking to us about your Online Storage / FTP Hosting or Server Hosting requirements, feel free to give us a call or contact us through the website.